New universal platform for carrying a second child. 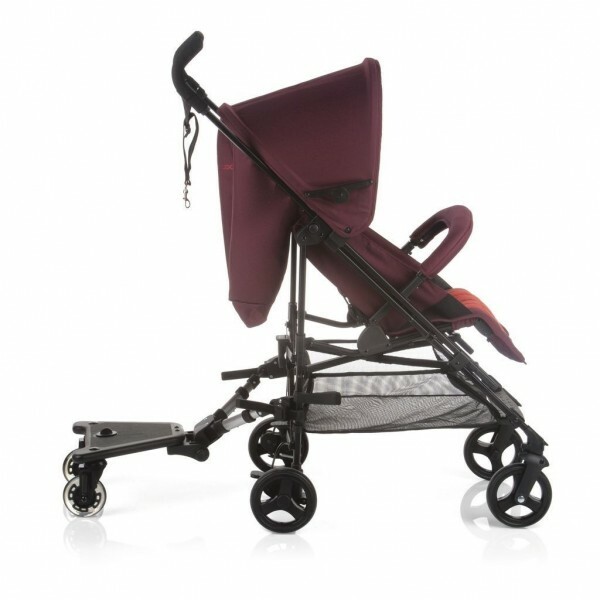 Compatible with most prams and pushchairs. Suitable for children of one and a half years up to 20 kg. 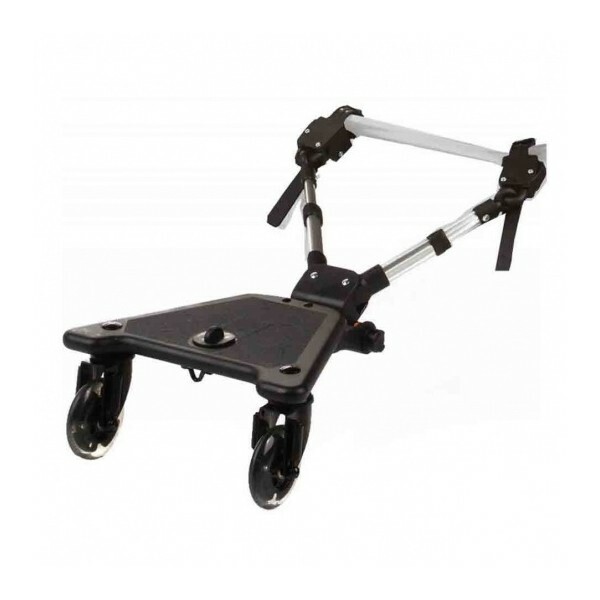 2- Supports that are easy to fit onto the chassis, and with which the pushchair can be folded. 3- Quick and easy fastening of the platform to the supports.